Finally! Here’s How You Can Stop People From Adding You to WhatsApp Groups Without Your Consent. 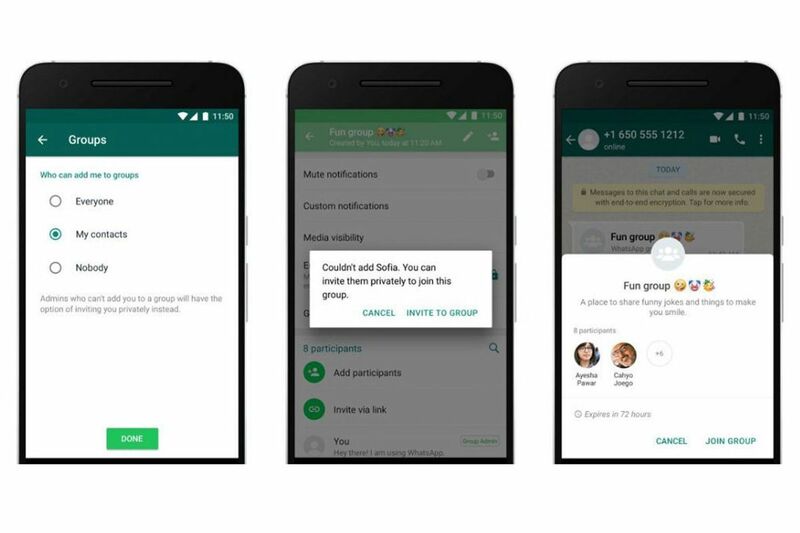 Well, that will soon be a thing of the past because WhatsApp has introduced new controls that will prevent friends or strangers from placing you in group chats without getting your permission first. Before now, anyone with your phone number could add you to a group chat without your consent, and the only option you had was to leave the group chat. However, with this feature enabled, you could automatically prevent people from adding you in the first place. ‘Everyone’ will let anyone add you to a group without asking you for permission. My Contacts’ will limit group-adding to people in your phone contacts – forcing everyone else to invite you first. And choosing ‘Nobody’ will require everyone to ask for your permission before you can be added to a group. If you don’t see the option for Groups settings, you might have to wait a bit as it’s currently being rolled out. What do you think about the latest update? Facebook Wants Its Employees To Use Android Phones Over iPhones. Great move, its annoying having to see one’s self popping up in an unannounced group.